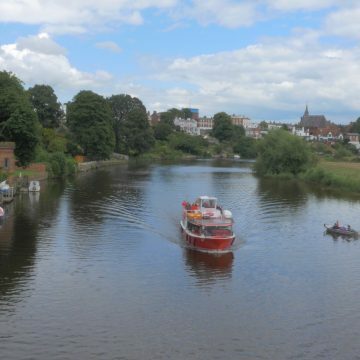 A tranquil cruise along Chester’s beautiful River Dee, with several departures a day. We’ll head upstream, under the suspension bridge, past Grosvenor Park and the Earl’s Eye, then we’ll follow the long sweep of the Meadows to the city limits before returning you to The Groves. A truly unique view of the city, its buildings and its wildlife.